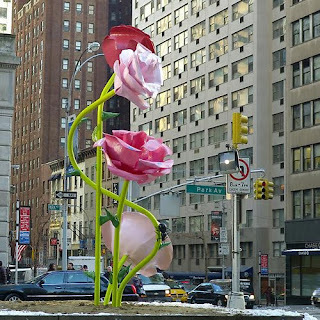 We completed our project on the concept of scale based on the work of Will Ryman's roses. 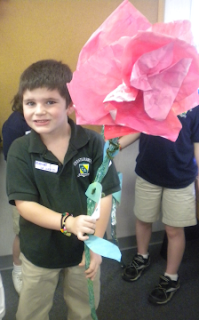 Our roses will decorate our stage for the end of the year Flag ceremony. Our cluster of roses in their full glory. 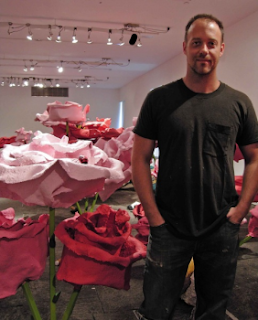 It is all about roses and the color pink. 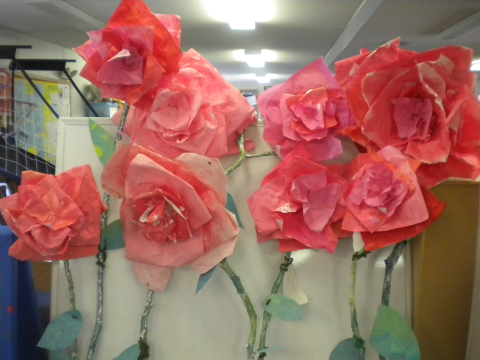 Will Ryman would have been very proud of our roses. Getting ready for our group picture. 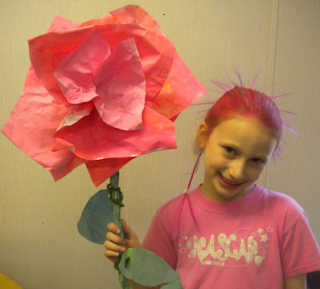 I am proud of my rose. A happy face holding a beautiful rose. 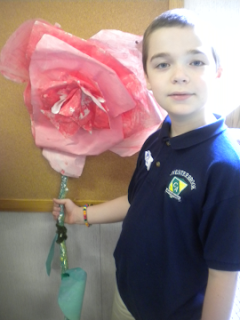 Yes, this is my giant rose. 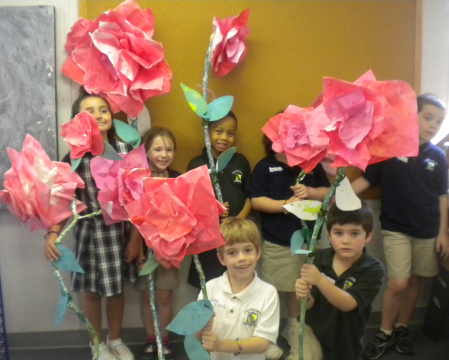 Roses of New York meet the roses of Chesterbrook Academy. Great photos. 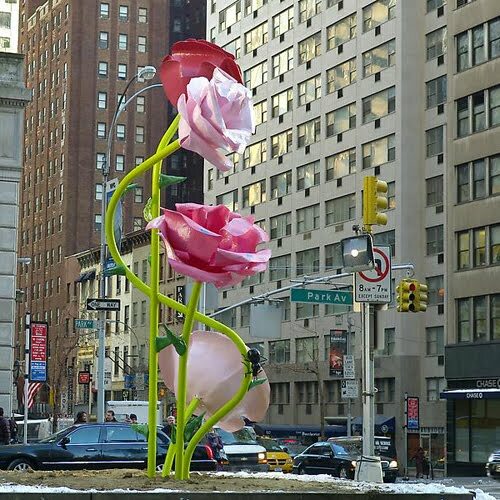 The giant roses are amazing and they look beautiful as a group. well, this looks like a "large" undertaking, but it looks like it was worth it - great job! 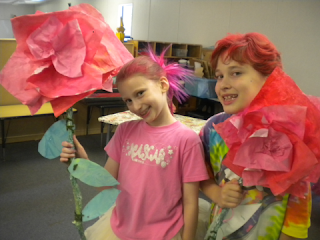 Today I am working on a lesson plan for CAMP CREATE a summer art camp at our Deland, Florida Museum of Florida Artists. My lesson is about making a book with 4 and 5 year old children. My theme is ''ALL ABOUT FLOWERS''. 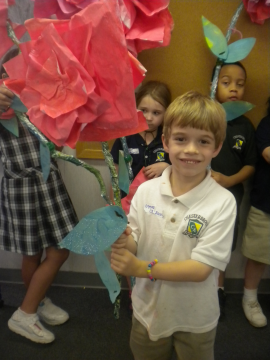 After seeing your giant roses, I have decided to include a giant two page rose which will open in the center of the child's book. 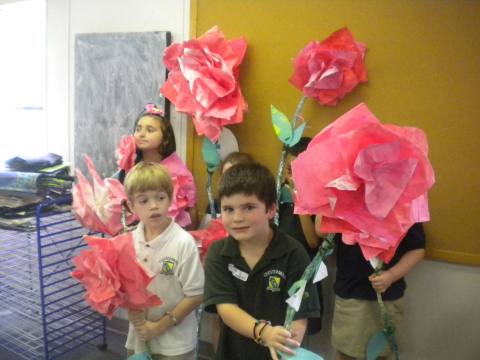 Perhaps another time I will use your giant roses for a hat and make huge leaf sleeves in a ''I AM A ROSE'' lesson. 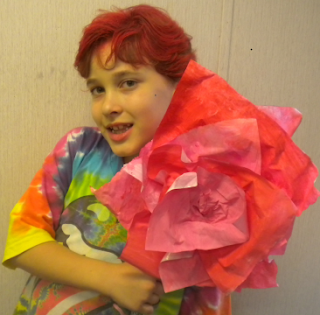 Thank you, Your roses are inspirational and wonderful. These are so beautiful I am in love! 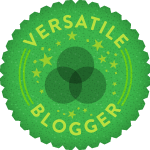 I have to search your blog to see how you did it!